Baldwin 300 Parking Structure | Cary Kopczynski & Company, Inc.
Baldwin 300 is a modern expansion to Corporex’s Baldwin business center. The shared parking structure supports the office building and hotel above. At the request of the owner, CKC was retained to re-engineer the work of a prior firm, resulting in substantial cost savings. 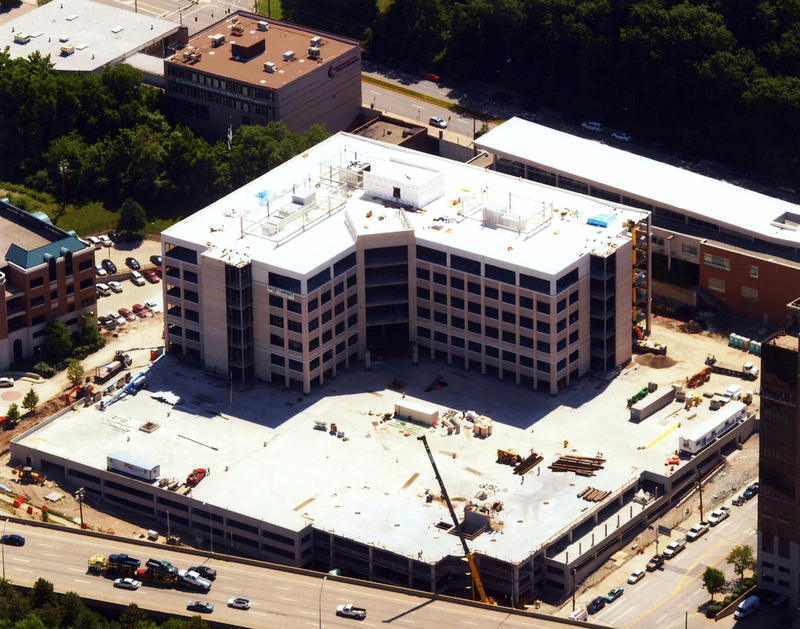 CKC provided all structural engineering for the four-level parking garage. This partial subterranean parking structure utilizes efficient and cost-effective cast-in-place construction. The structural system is a combination of wide-shallow beams and a flat plate system. Post-tensioned concrete was used throughout.